Drawing on Itten’s treatise, The Elements of Colour, Rook & Raven bring together the works of Marita Fraser and Nancy Milner. 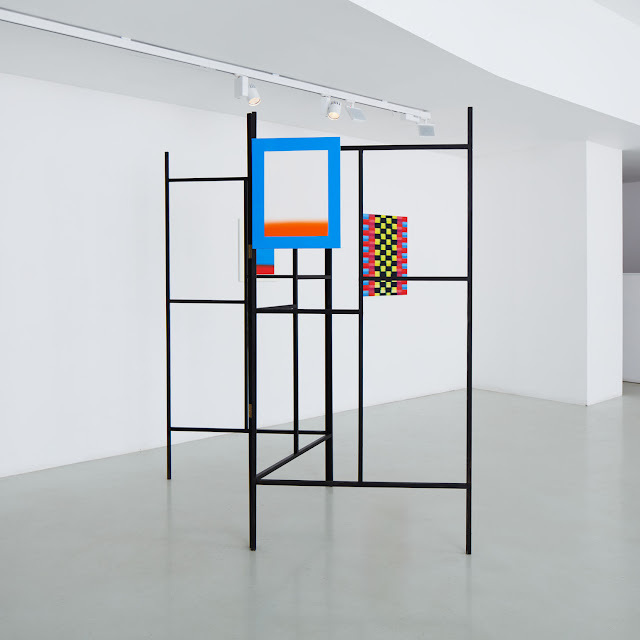 Through sculpture, collage and paintings, these two artists explore Itten’s theories in their juxtaposition of colour and its perceptual contrasts. 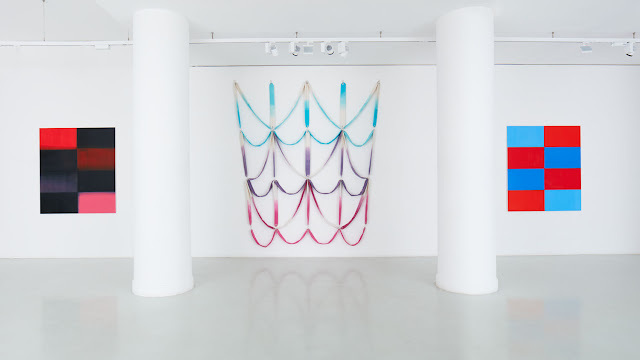 Fraser’s work deploys a means of rehearsal within its making, hybrid forms of materials, modern draperies, displayed in variegated configurations. Materials are often seen in multiple manifestations, on consecutive occasions, reissued, reattributed and renegotiated. 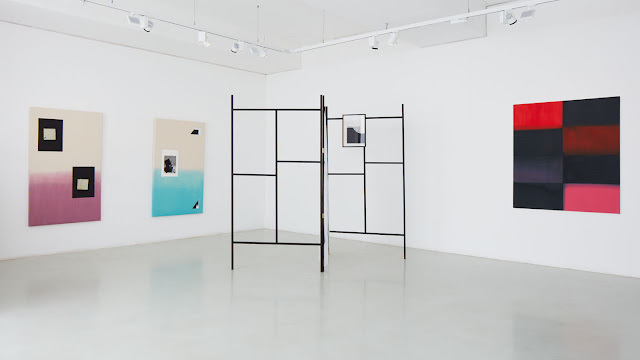 Painting is often unpacked into three-dimensional works with wooden frames and fabrics, referencing the traditional support systems of wooden structures with stretched fabric. 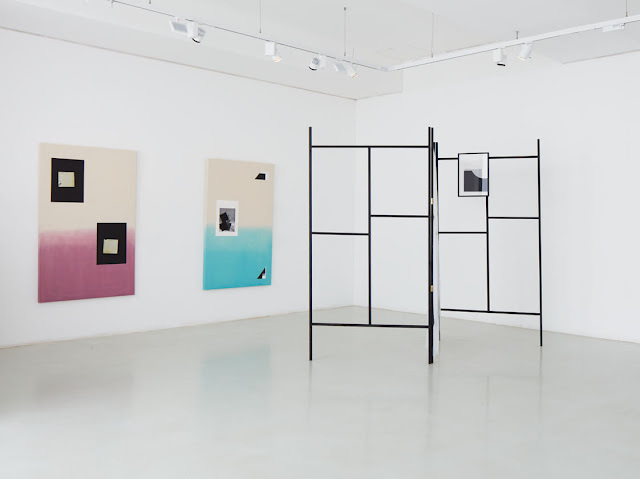 These frames simultaneously act as dividers, physically framing her installations, as proposals in and for space. Formal diagrammatic structures and repetition within fabric design are referenced as structuring systems for creating images and spatial arrangements of objects. 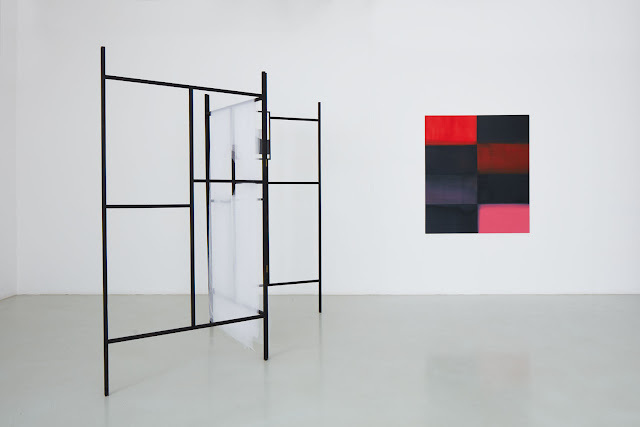 Nancy Milner’s practice is to construct paintings that fix colour and form in various, tense economies. 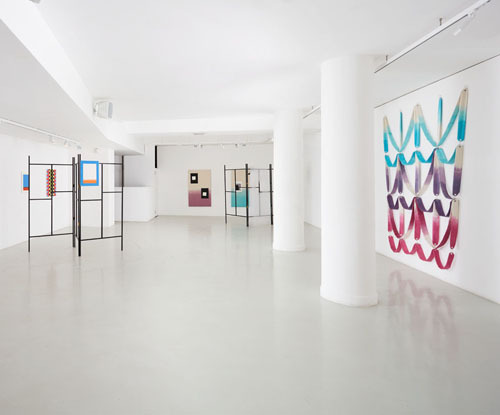 Her work reflects the influence of colour field painting, pop art, and gestural abstraction. Taking drawings as a scaffold, Milner contemplates how superimposed colours can affect the composition in its entirety. The process is not pre-set. The painting grows and reshapes with the distensions of time, grasping for a legible equilibrium — a balance between colour and line, repletion and vacancy. Taking the idea of the scaffold and literally drawing on the ideas of form addressed by both artists, Fraser will build site specific frames on which, and through which other works will be viewed. 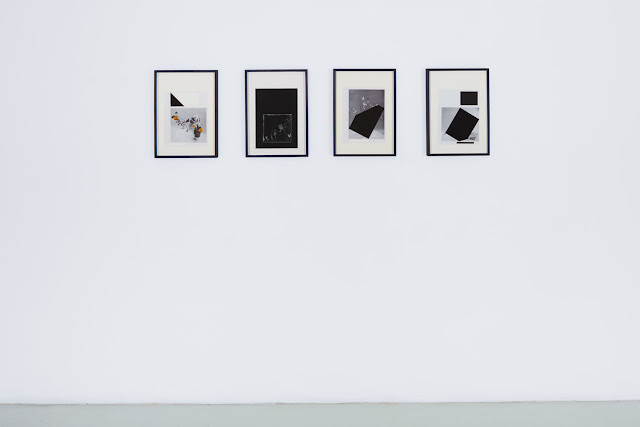 Alongside her three dimensional works, Fraser’s practice is simultaneously about the whole image and obscuring the viewers reading – her collage works are populated by insertions of black material over black and white images, both figurative and not.